We'd like to think we can tackle any denim trend head-on. When Gigi Hadid wears the most viciously torn boyfriend jeans in the world, we're open-minded enough to see the merits of such a choice, even when it's cold outside. And when one of the leading denim brands decides to get rid of all the elastic in its jeans, we pay attention and give the style a whirl. But occasionally a new trend can catch us completely off-guard. 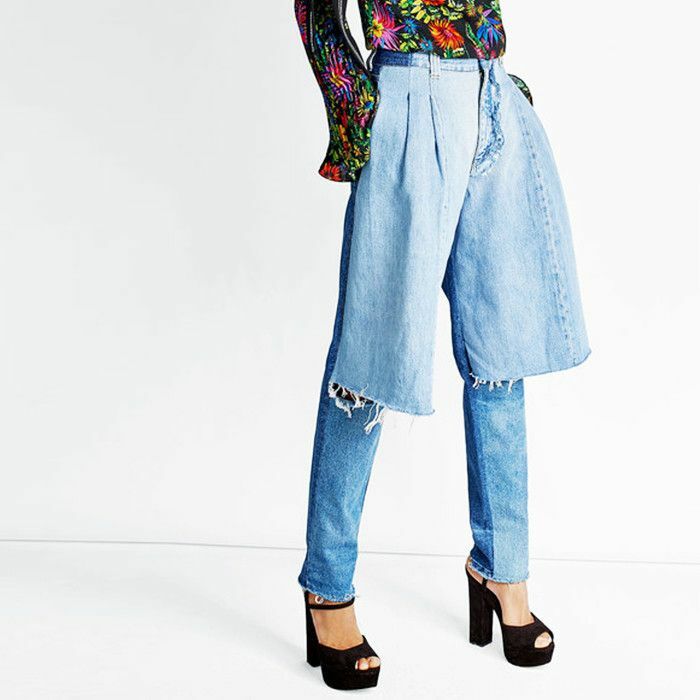 Recently, just as we were applying our concentration to vinyl trousers, along came a rather radical new pair of jeans that bloggers are backing left and right. Meet the Ukranian fashion brand Ksenia Schnaider and its skater-boy shorts/distressed skinny jeans hybrid. This is one pair of jeans with a very split personality, but perhaps it's their inherent weirdness that has captured the imaginations of the more adventurous influencers. This particular style—which looks almost like two separate pieces, shorts over skinny jeans—is called the Demi Jean and will cost you £289. A hefty price tag, yes, but let's remember this isn't the first time expensive reworked denim has piqued the fashion crowd's interest and proven to be a major retail success (cough, cough: Vetements). 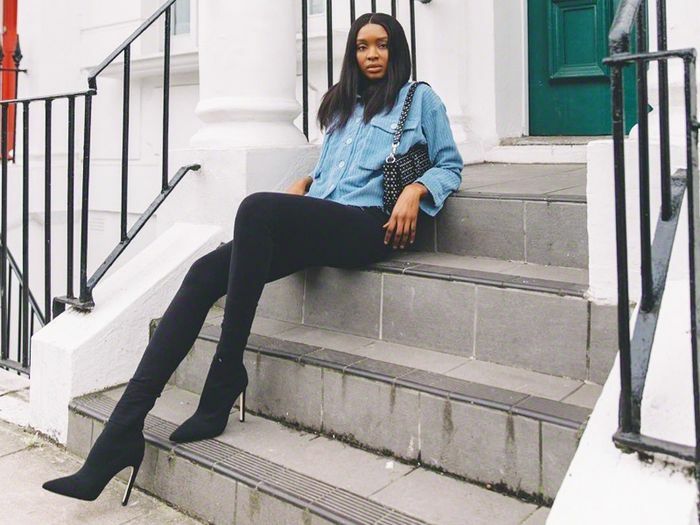 With both wide-leg skate jeans coming back into vogue and a street style rise in dresses worn over denim pants during London Fashion Week, perhaps it makes sense that this pre-layered creation has become a coveted one. Once you've clocked the distinctive cut, it's easy to see how far and wide the surprising denim must-have has spread: Australia to Germany, Great Britain to Seoul… The frequency in which we are spotting them on social media is ramping up by the hour. But are you on board? Would you at least give them a try? Strangers things have happened on the street—take our current obsession with "dad" trends as a prime example. 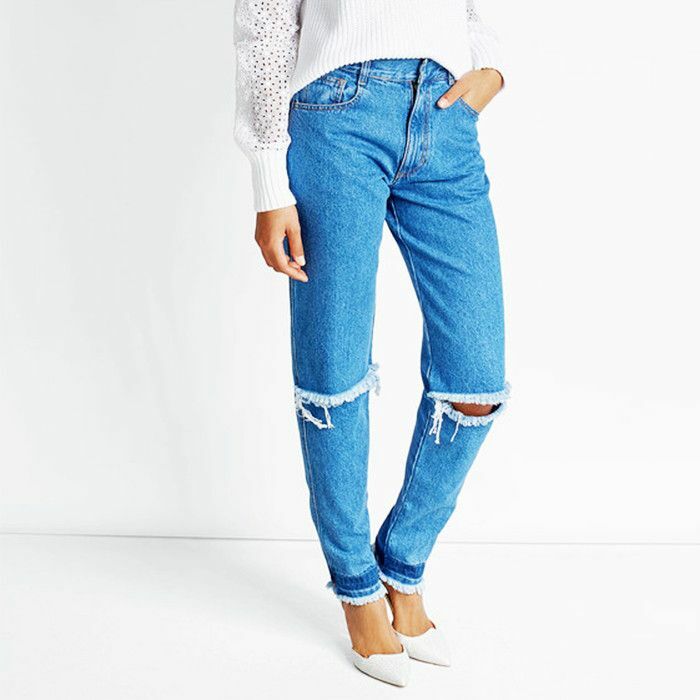 Shop the Ksenia Schnaider Demi Jeans below. Next up, the payday purchases you'll be very keen to make.